UAE, April 11, 2017 - While family businesses in the GCC region continue to carve important niches and mark footprints in the global economy, they also face serious challenges in a highly competitive modern-day business environment. This is according to the findings of a recent report on 'Family Matters: Managing the GCC's Family Business Powerhouses' released by Orient Planet Research, an Orient Planet Group venture, today (11 April 2017). Key issues such as corporate governance and succession continue to stalk family-led enterprises, which are said to be the oldest form of business organizations. According to the report, governance, financial and succession concerns are turning into challenges due primarily to the force of globalization, the rising number of family members in each generation, the growing size of the company, and the difficulties associated with succession planning. The report looks into these challenges that may make or break their companies and highlights key solutions. 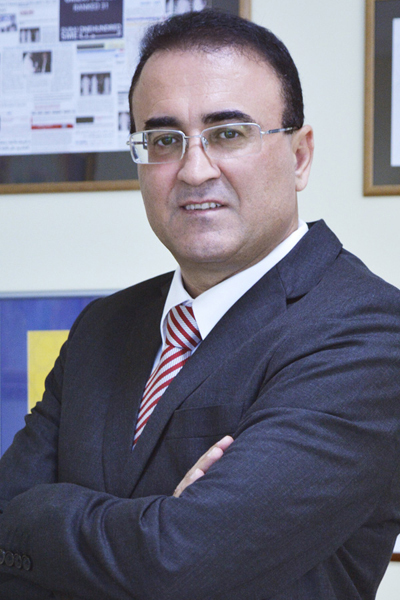 Nidal Abou Zaki, Managing Director, Orient Planet Group, said: "As dynamic participants and key drivers of economic development, family businesses have made unparalleled socio-economic contributions. These include generating considerable employment opportunities for both citizens and residents that are crucial to any country's development and growth."  "Many leading GCC corporations are still being run by family dynasties today. While family businesses may have some advantages over other business entities, especially in terms of commitment to quality and care and concern for their employees, they still face unique management issues. This report presents long-term solutions to ensure longevity and high productivity in the face of globalization and other important present-day trends," he added. Some of the largest publicly listed international companies are family-owned, including one-third of Fortune 500 companies. In the GCC, between 70 to 80 per cent of the private sector belong to this category, making family-run enterprises the backbone of regional economies. In the list of top 65 families based on wealth, the average family net worth in Saudi Arabia stood at USD 6 billion followed by the UAE and Kuwait, while the entire MENA average stood at USD 4.5 billion. 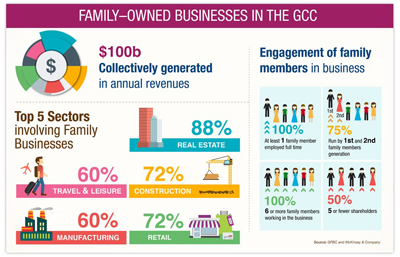 The largest GCC family-owned businesses collectively generate USD 100 billion (AED 367.3 billion) in annual revenues as per a study conducted by the Gulf Family Business Council (GFBC) and McKinsey & Company. As the second largest shareholder after the government, family-controlled businesses substantially drive the national economy of GCC countries and collectively represent a significant variable in the development equation of the region, the report added. A number of family businesses which began as entrepreneurial projects 50 to 60 years ago have diversified their interests and created a number of successful conglomerates. Most of them are concentrated in five key sectors, with real estate topping the list. Enumerating some of the biggest GCC family enterprises, the report finds that a structured governance process and succession planning are crucial especially since these businesses are expected to undergo a generational change over the next five to 10 years. Currently, over half of these businesses are transitioning from their second to their third generation, and many are unprepared for the succession. According to a study from McKinsey & Company, only 15 per cent of these businesses in transition are likely to survive. The study also shows that only 17 per cent of GCC family businesses have an efficient assessment method in place to identify positions and responsibility for the next generation. In terms of corporate governance, for instance, there is still a pressing need to implement higher standards to pave the way for better access to finance on more favorable terms and improve the ability to attract foreign investment and stronger talent. The report notes that although business owners generally view corporate governance as good business practice and recognize its value, most of them have not fully adopted modern global corporate cultures. A succession plan, on the other hand, allows a company to develop and facilitate leadership changes in a progressive, planned and non-disruptive manner, assuring shareholders, employees, customers and other stakeholders of the longevity of the company while preserving its reputation and brand value. Succession planning helps maintain an appropriate balance of skills and experience within the organization. In response, many regional businesses have started to implement measures to partially address the two key issues; secure long-term success and growth; enhance transparency, efficiency and access to capital and talent; formalize management structures; and improve rules and processes. Advancements in these areas will foster professionalism and increase their global competitiveness. However, the report emphasizes the need to employ a holistic approach to manage the change, both in perception and action. The report also identifies cultural preference and solid political connections as major factors in running family-owned companies. Family businesses in the GCC region, which tend to be bigger over their counterparts in Europe and North America, view the issues of corporate governance and succession planning as crucial to their competitiveness in a globalized business environment. To address the challenge beset in ownership succession, the report recommends going public to raise immediate cash flow, which can be later utilized for growing the business. As GCC governments are now urging women to play a key role in the growth of the economy, family businesses could significantly increase their talent base by including capable women within the family company—reinforcing both family and business perspectives. These businesses are also being recommended to act quickly to address their internal challenges and respond to external factors such as an increasingly globalized and competitive environment.